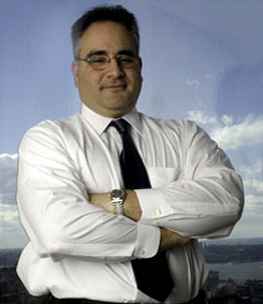 Mr. Carbonetti is a Senior Advisor at Perella Weinberg Partners. Prior to joining the firm, Mr. Carbonetti was a founding Partner and Managing Director of Giuliani Partners LLC, a strategic consulting firm founded in 2002 by former Mayor Giuliani and senior members of his administration. Mr. Carbonetti served as Chief of Staff to Mayor Giuliani from 1999 through 2001. As Chief of Staff, Mr. Carbonetti was responsible for all aspects of the Mayor’s office, including scheduling, special events, citywide services, fiscal and administrative affairs and appointments. He also served as an advisor to the Mayor on personnel and policy issues. Mr. Carbonetti was serving as Chief of Staff on September 11, 2001, and was an integral part of the Giuliani team that helped guide New York City through the worst terrorist attacks in U.S. history. Mr. Carbonetti served as Director of the Mayors office of Appointments from 1994 until 1996 when the Mayor appointed him as his Deputy Chief of Staff, and ultimately elevated him to Chief of Staff.